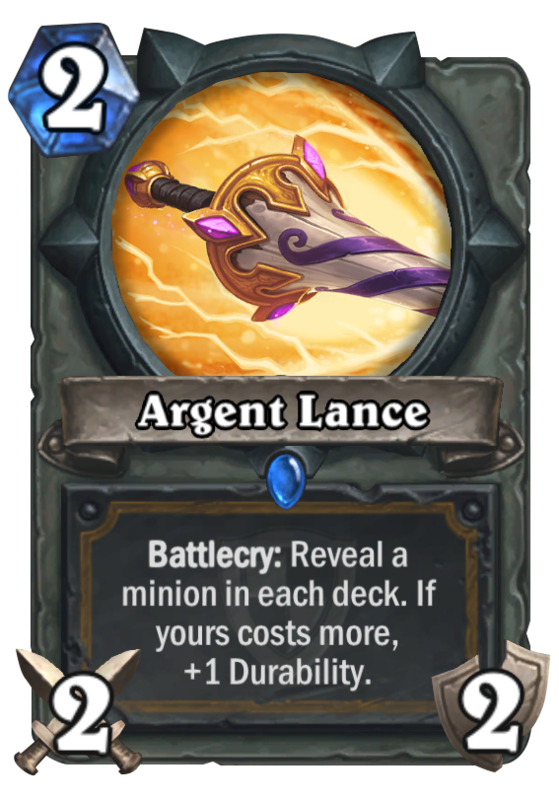 Argent Lance is a 2 Mana Cost Rare Paladin Weapon card from the The Grand Tournament set! The stripes make it look like a candy cane, but we recommend against licking it. Rating: 2.6/5. From 107 votes.